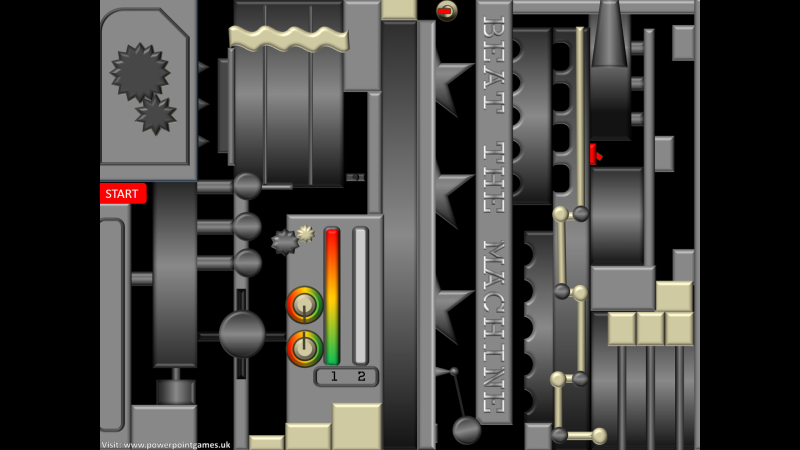 Once you have started to move along the black areas and cream coloured blocks, you must avoid touching any metal / grey parts of the machine. If you do, you have to go back to the start. When you reach the half way point, there’s another switch that when clicked will mean that you start again from this point rather than right back at the start. 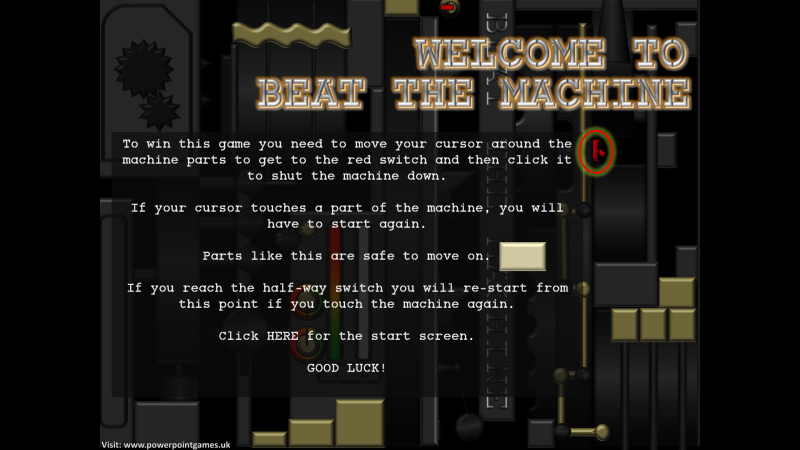 This is a difficult maze game that will really test your ability to control your mouse and cursor.